22 January 2019 - Executive agrees the final budget to recommend to Council in the light of any consultation feedback, including that of the scrutiny process. 14 February 2019 - Council agrees a budget. 21 February 2019 - Accounts and Governance Committee sets the overall Council Tax bill. The Executive agreed the draft revenue and capital budgets on 11 December 2018. The draft budgets are based on the existing detailed base budgets, as adjusted for proposed savings and areas of new expenditure, known as growth. The budgets also consider the level of Council Tax and how much of the balances, known as reserves, are needed to support the proposed level of expenditure. To view the Council's consultation documents, please click here. A more significant capital programme to address especially the economic development and housing objectives that it has identified, funded through surplus reserves, prudential borrowing and more effective asset management. Providing greater clarity and transparency about the objectives and activities of ‘Heart of Cumbria’ (the Council's arms' length development company). Adopting a more robust approach to risk management and stress testing. Increasing Council Tax by 3% in 2019/20. To view or download a copy of Adrian's response, please click here. 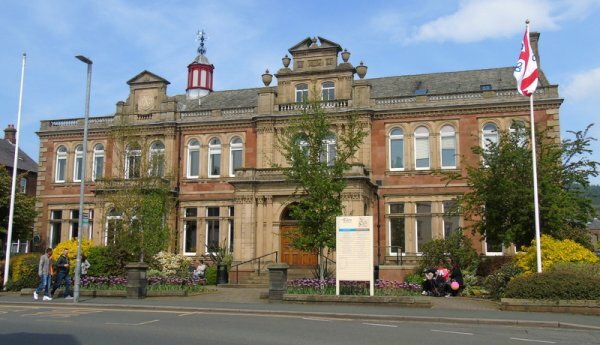 Penrith Town Hall, the headquarters of Eden District Council.